CBS News White House correspondent Major Garrett, who covered President Barack Obama for Fox News, said that the Obama administration used to “demonize” Fox News regularly. Garrett explained how the previous administration treated him and Fox News during his appearance on Hill.TV’s “Rising” Friday morning. “The White House said it was at war with Fox News. I was its most visible editorial representative on the White House grounds as a senior White House correspondent,” Garrett stated, according to The Hill. The White House would always pull me aside and say, ‘Well, really, Major, we’re not at war with you,’ and I said, ‘Stop talking to me like that because when you’re at war with my network you by definition are questioning and assailing my journalistic credibility and the work I do here every day.’ Now, they never tried to pull my pass, but they had this sort of arms-length relationship to Fox and tried to demonize it on a daily basis. So that’s another part of American history and journalism in the White House press corps I think at least should be noted at this moment. Garrett’s comments came the same day CNN’s Jim Acosta had his press credentials restored by a judge’s order. Judge Timothy J. Kelly ruled that the being on White House grounds is not covered under the First Amendment, but that Acosta did not receive due process prior to his pass being revoked. 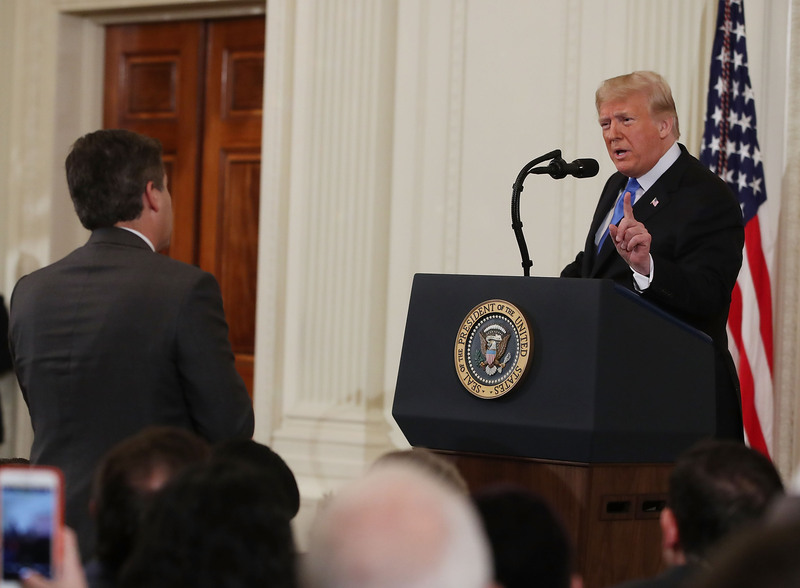 CNN filed suit earlier this week claiming that the Trump administration violated their and Acosta’s First- and Fifth-Amendment rights by revoking his press credentials. 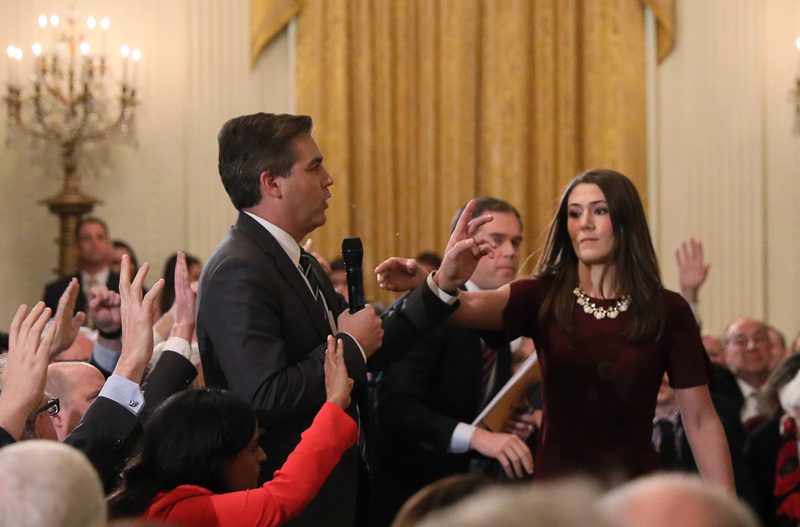 The White House took away Acosta’s hard pass last week after he got involved in a contentious exchange with President Donald Trump during a post-midterm press conference. He then refused to give up the microphone and interrupted another reporter’s question. This was just the latest spat between Acosta and the Trump administration.